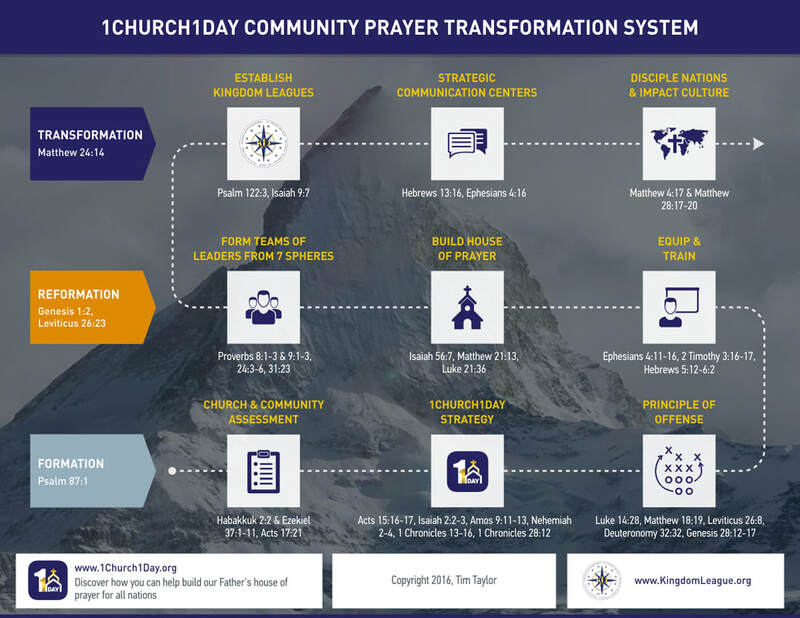 The 1Church1Day system has been proven to be effective in helping networks establish 24/7/365 prayer all year round while connecting that intercession with strategic leaders from the 7 spheres and five-fold ministry. Currently the the system consists of a Leadership Dashboard and an app. We found that it is far more powerful when each church, network, ministry, or city has their own Leadership Dashboards connected to their own apps so they can mobilize prayer for "their" city, region, state, nation, church or network. But the challenge is, how do we do that while also empowering churches in a city to connect with other cities in their county. Or how does the Church in each county also connect with the Church and leaders in their state? Reduce the customization cost dramatically for each church, ministry, network, city, county, state, region, nation and reduce the time from 3 months to one day. Speed the interconnecting of the body of Christ to build our Father's house of prayer 24/7/365 in every city, county, state or nation that uses it. Empower local leaders to exponentially increase their power and effectiveness of their strategic prayer as they apply the Biblical principles of war that are designed into the system. This powerful tool is designed with heaven's priorities in mind! It facilitates the Church to SEEK FIRST the KINGDOM of GOD! The Calendar is used to coordinate prayer watches. Reports empower you to share what you saw and heard. Decrees come from the leaders who direct our prayer. Alerts are used to respond defensively and Results keep us encouraged. We want to put one of these in every leaders hands. Why? Because it empowers them to help fulfill their vision by leveraging the power of strategic prayer through teamwork and the prayer of agreement. It's here that heaven's intel is combined with intelligence brought through the strategic councils. Then they can do like King Hezekiah and lay it out before the Lord to ask Him what they ought to pray and do. One ministry has already committed $12,000 this year. $1000 per month. 300 people is our ideal goal for this empowers us to not only build the system bring a "Minister of Technology" to lead a developer and support staff. Imaging mobilizing the Church as the army of the Lord like it's described in Ezekiel 37, bone to bone and joint to joint all the while building our Father's house of prayer for all nations. Are You one of the 300? Is God calling you to join us as a "Fellow Worker" in this project.